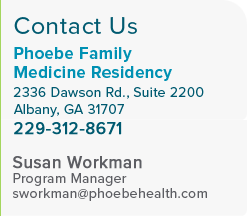 Welcome to The Phoebe Family Medicine Residency program, we're so glad you decided to take a look! When selecting a residency, a number of factors come to mind: academics, training, post-residency job availability, work environment and the intangibles. Here, you will undergo a rigorous three-year training program that gives you a strong academic focus in a state-of-the-art community hospital. As an unopposed program in a large, multi-specialty hospital, we have the benefit of first-access to many cases and procedures. With all the technological advances, though, it is still the people that make this experience unique. 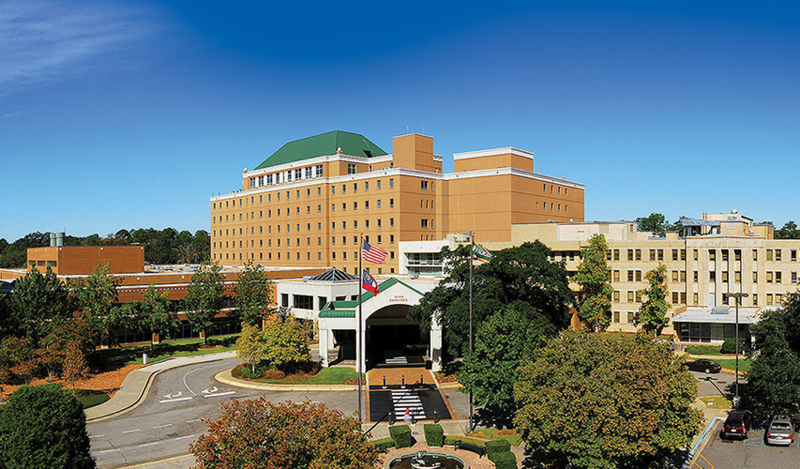 Our faculty and specialists in the Phoebe Putney Memorial Hospital Health System are excellent teachers, and as warm and welcoming as the "southern hospitality" you've heard about (yes, the rumors are true!) They are invested in our education, invested in the residency, and are great resources throughout training and beyond. Speaking of investment, you will be hard-pressed to find a hospital and community more invested in its Family Medicine program than ours. 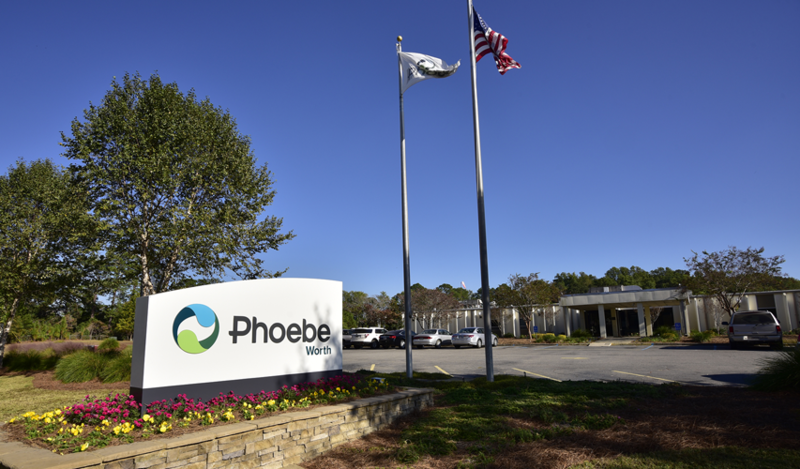 Since the program's inception, the goal has been clear: to provide a great education for those residents in it while providing to the medical needs of Southwest Georgia. 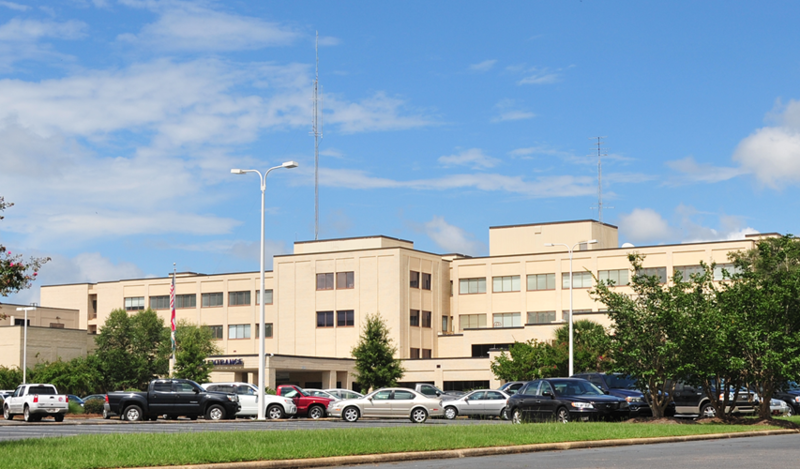 The hospital invests heavily in the Family Medicine program with a beautiful clinic and training center, a generous CME allowance that renews every year, coverage for USMLE Step 3 and the Family Medicine Board Exam, a vast online library, I-PADS given to you from day one which allow you to access the online library, and much more. 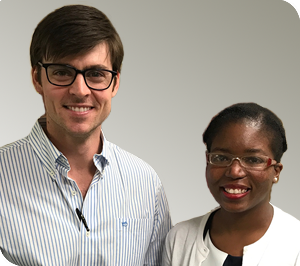 As a resident in our training program, you will have access to many recruiters from South Georgia and beyond with a variety of opportunities for post-residency practice including clinic medicine, hospitalist medicine, and academics. As some past residents will tell you, sometimes you even get the opportunity to create your own job depending on the need in the community. 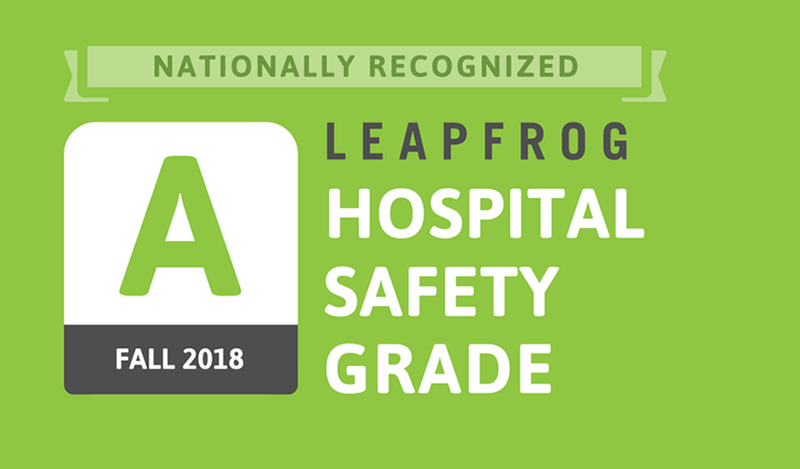 The hospital system is very supportive of our program, and it is evident in the strong educational program outlined for us from day one. This investment in our future has paid off, as we have enjoyed a 100% first-attempt board pass rate for the last couple years, and we plan to continue that trend over the years. So how about leadership? Our residents are not numbers, and they are not treated that way. One of the best parts of working in the Phoebe Family Medicine Residency Program is that leadership is taught from the top down. From the CEO of the hospital to the Program Director to the Faculty, you develop personal relationships and receive mentoring not only in medicine, but in life. The residents participate in a number of residency and hospital committees that help improve upon an already strong healthcare system, as well as provide us invaluable opportunities in leadership that we can carry with us after training. The patients of the community are very appreciative of what the residents do, and we see their gratitude in the hospital and in the clinics every day. Along with a terrific education and experience, we have fun here! The fun starts with a two-week orientation, designed to acquaint you with all of us in the program as well as the community. The residents plan a number of social activities, including poolside cookouts, movie nights, potluck dinners, karaoke, roller-skating (yes, we have a traditional 4-wheel roller skating rink! ), camping/hiking trips, and music trivia to name a few. The Flint River runs through Albany and Lake Blackshear is thirty minutes away, so a number of water activities are available as well. Bigger cities, including Atlanta, are only 3 hours away, and the beaches of Florida are just as close for a weekend trip. With all our program has to offer, our greatest asset is still our people. The people are the intangibles. You will work with compassionate, driven, dedicated faculty and residents who care about you, the person, as much as your education. You will be in a community that embraces you and appreciates your care and service. It's that family unit that really becomes our greatest strength. The smiles on our faces from day one when you meet us will still be there on month six, and that's just something you can't pull off unless it's real. So we ask again, What are you searching for in a residency? A place to live well, work in a great environment, and learn from a program that prepares us to work anywhere? A place that fosters our growth and maturation as physicians, while giving us tools to not only succeed in our medical career, but as leaders in the community? That is what we're about at the Phoebe Family Medicine Residency. Thanks so much for stopping by, and we hope to hear from you soon!